I love a freebee but I did have to pick them up on a cold winters night. I'm so glad I did though as I bet they would have cost a fortune to buy this many! They will sink and you will have to re lay them, but will be ok for a year or more in my experience - ours ( the ones along the polytunnel into the wood - remember?) need re doing now and have been down for ( thinks) 3 years? Yeah the clay soil can get a little sticky! I don't mind packing them up every few years. Next time they might even get some stone under them! Noe your little girl needs an electric car...the path would make a great race track! We've been tarting up our patch this year...it looks so much nicer even with the small amount we've done. Yours is looking very professional! I think with the slope it might be a little dangerous as I think she would reach quite a speed by the time she got the bottom! Next job is garden gates and herb garden I've gotta try to keep on top of it all this year! They start to rot rather quickly, but you can always look under them for fishing bait! Yeah a good place to find worms! These are concrete slabs so they should out last me if they dont sink! Or are they STONE slabs? Great job on garden path Kev, I think it looks fantastic! Thanks Tania! I think it might look better in the photo than in real life though! Slabs straight onto soil never worked for me, every rainy season they wash out underneath and look like the Mountains of Mourne. All my pathways are concrete. I'll admit, slabs look much, much nicer than plain concrete but you can get a product called cretestain http://www.decocem.co.za/Cretestain.html which permanently stains the concrete in a variety of colours and finishes. If you impress the concrete to give the appearance of tiles, you can recreate what looks like a terracotta pathway at a fraction of the cost. Not sure if you can get a similar product in UK though, mine came from the supplier in SA. I've seen those things your on about and they're meant to work well. These were much cheaper than concrete (free) so thats why I chose them. I doubt our rain comes down as hard as it does in your rainy season. These are on to clay so in the summer its rock hard. The path looks great, Kev. 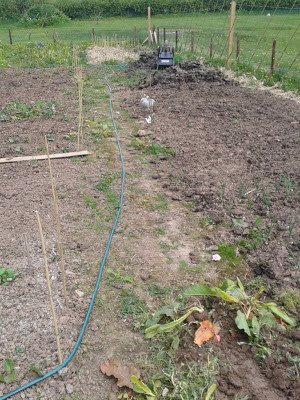 Putting slabs straight on to our heavy clay soil has worked just fine. And, as you say, it makes it easy to change your mind later and move them around. Cheers for the comment. 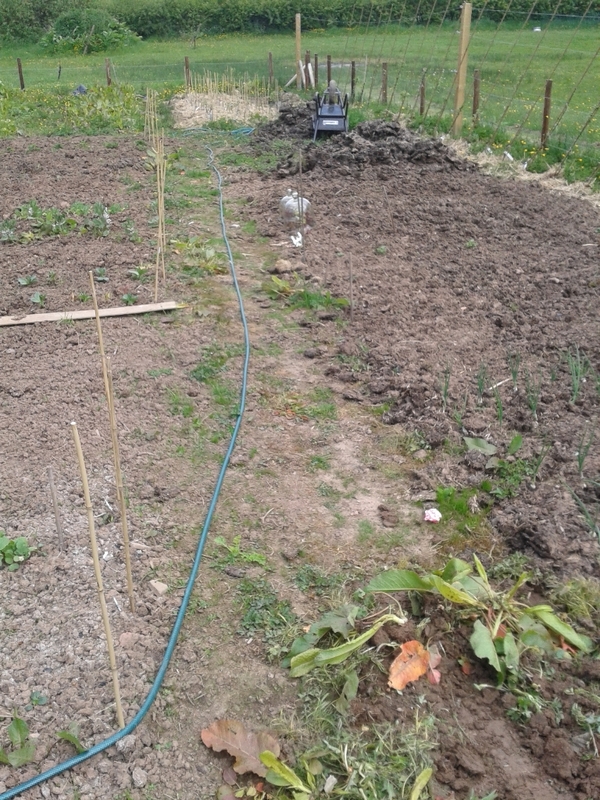 I think they will move a bit (our soil is heavy clay as well) but I can cope with it. It would have made it far too bigger job to do it properly.